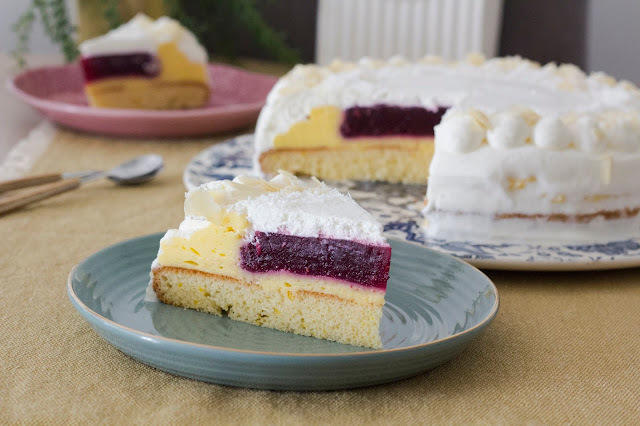 I've partnered with godubrovnik.com for another recipe and I'm very excited about this one. Check out the original article here. Crafting fresh noodles at home is much easier than you think. Pasta making has always been popular in households throughout Croatia, and Dubrovnik region is no exception. 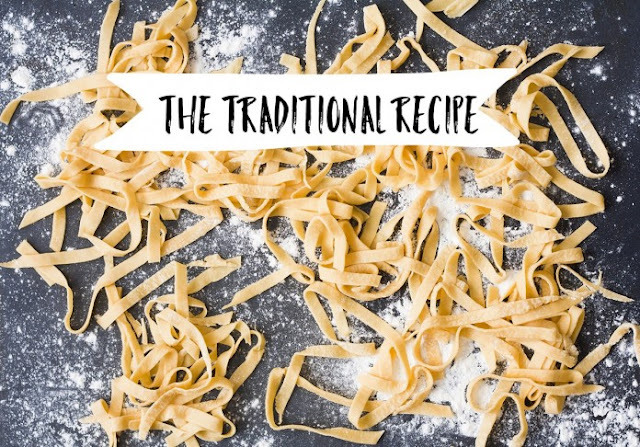 Its people often share memories of their grandmothers and mothers kneading tough pasta dough with their hands, using the freshest, free-range eggs and creating the most delicious pasta to be savored at family meals. In fact, one of Dubrovnik’s most popular traditional dishes is called “sporki makaruli”, or dirty macaroni (find the recipe here) The tradition has been passed on for ages and the idea of making fresh pasta from scratch has never actually been intimidating. Moreover, using fresh pasta makes a world of difference when it comes to turning out an all-star dish. With certain dishes, the golden rule is the following: the less ingredients-the better. 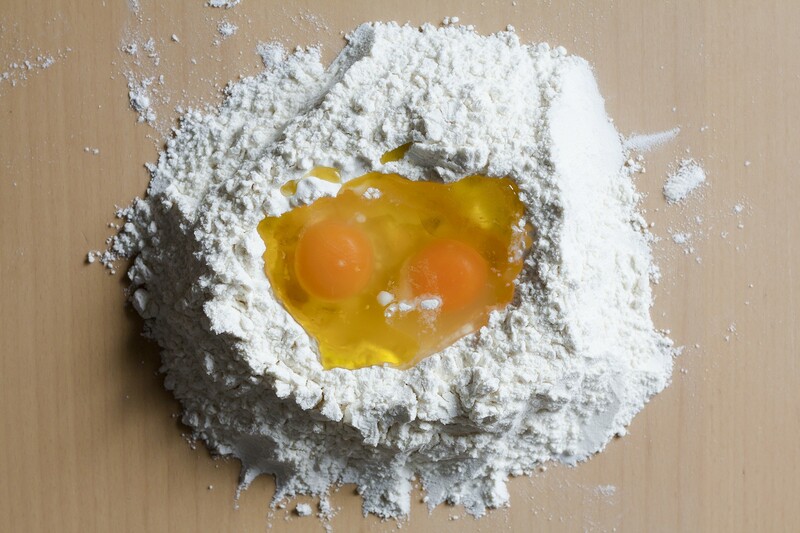 Pasta falls into this category, requiring only flour, salt and eggs. A quick chemistry lesson, guys: you can add a generous splash of olive oil, which coats the flour proteins and limits their ability to form gluten so the dough stays more elastic. If you make pasta without a pasta machine, you can also add extra egg yolks. Yolks are loaded with fat and emulsifiers that also limit gluten development—but because their proteins coagulate when heated, adding structure, they ensure that the pasta is strong enough to stay intact when boiled. If you extend a resting period to allow the gluten network to relax, you won’t have any trouble rolling out your dough by hand. When combining the ingredients, our grandmas taught us to use a fork, and always start with a mound of flour and dig a well in it with our fingers, so we can begin mixing the egg into the flour with no mess. If you own a pasta machine, let’s all solemnly swear to break out that dusty pasta maker that’s been stashed away on a high shelf and get rolling. No matter which technique you use, I suggest shaping the dough into a cylinder, wrapping it in plastic wrap and letting it rest for one hour. Then divide it into several equal pieces and work with each one individually. Always shape it into a square, dust both sides with flour and roll it out with a rolling pin first. Then you can pull it through your pasta machine until you get the appropriate thickness and shape. Lastly, use your fingers to unfurl pasta, then transfer to a floured baking sheet. 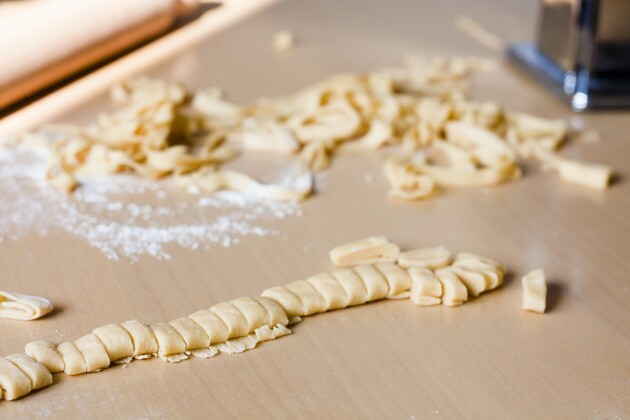 To make the macaroni shape, characteristic of Dubrovnik region, cut thin sheets of pasta into 1-1/2 inch (4 cm) strips, then into squares, and roll each one around a wooden spoon handle, or a clean pencil. Wrap one corner of the square around a pencil, and with gentle pressure, push it away from you until the pasta is completely wrapped around the pen. Slide the shaped pasta off the pen and repeat. You can cook it right away, or let dry a little. You can also freeze your fresh pasta in air-tight containers. Keep in mind that fresh or fresh-frozen pasta cooks much faster than dried pasta. A quick three- to four-minute boil in lightly salted water is all you need for a plateful of springy, flavorful homemade pasta. The sky is the limit with shapes and flavors, so take this base recipe and make it your own. If you are vacationing in Dubrovnik, make sure to try some of its delicious pasta dishes and get inspired to make them at home. 1. Whisk together the flour and salt with a fork in a medium mixing bowl. 2. Create a deep well in the middle of the flour and crack the eggs into this well. Whisk the eggs with the fork to combine. As you whisk the eggs, begin gradually pulling in flour from the bottom and sides of the bowl. At first, the eggs will start to look like a slurry. Once enough flour has been added, it will start forming a very soft dough. Turn the dough and any excess flour out onto a clean counter. Begin gently folding the dough on itself, flattening, and folding again. It will be extremely soft at first, then gradually start to firm up. Once it’s firm enough to knead, begin kneading the dough. Incorporate more flour as needed to prevent the dough from sticking to you or the counter. The dough is kneaded when it forms a smooth elastic ball. 3. Clean and dry the mixing bowl. Place the ball of dough inside and cover with a dinner plate or plastic wrap. Rest for at least 30 minutes. 4. 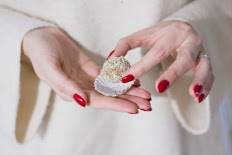 Sprinkle a baking sheet generously with flour and scrape the ball of dough on top (it will stick to the bowl; use a spatula or bowl scraper if necessary). Divide the dough into four equal portions. Dust the portions with flour and cover with a clean dishtowel. 5. Set your pasta machine to the thickest setting. Flatten one piece of dough into a disk (you can roll it out slightly with your rolling pin) and feed it through the pasta roller. Repeat once or twice. Fold this piece of dough into thirds, like folding a letter. 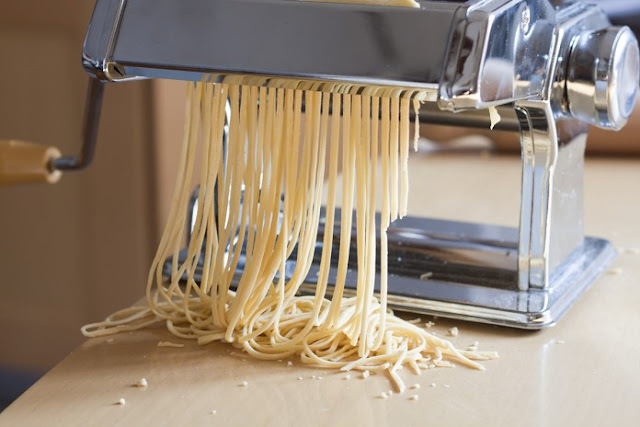 With the pasta machine still on the widest setting, feed the pasta crosswise between the rollers. Feed it through once or twice more until smooth. If desired, repeat this folding step. This helps to strengthen the gluten in the flour, giving it a chewier texture when cooked. 6. Begin changing the settings on your roller to roll the pasta thinner and thinner. Roll the pasta two or three times at each setting, and don’t skip settings (the pasta tends to snag and warp if you do). If the pasta gets too long to be manageable, lay it on a cutting board and slice it in half. Roll the pasta as thin as you like to go. 7. Cut the long stretch of dough into noodle-length sheets, usually about 12-inches. If making filled pasta or lasagna, proceed with shaping. 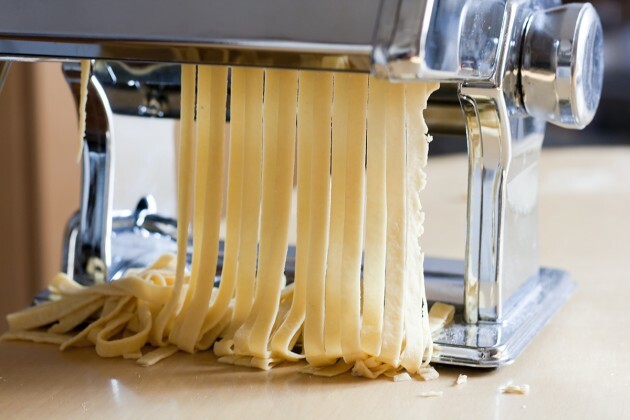 If cutting into noodles, switch from the pasta roller to the noodle cutter, and run the sheet of pasta through the cutter. Toss the noodles with a little flour to keep them from sticking and gather them onto a baking sheet. Cover with a towel while you finish rolling and cutting the rest of the dough. Cook in a large pan of salted water.